LTV (lifetime value) is another of the most important optimization metrics especially for any relationship game. 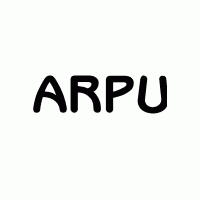 The concept is to take the ARPU and multiple it by the average amount of time a player spends active in your game. 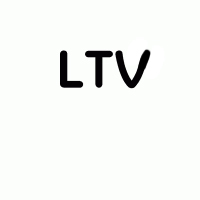 The LTV is generally calculated in months because most other metrics track stats in the same time period. Most people glance over this number and fail to appreciate it for what it really yields. Another way to see LTV is how much revenue will the average user generate? Because this gives you the average among users, you’re able to make the inverse estimate of how much are you willing to pay per user? 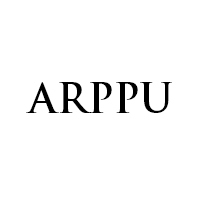 This number will be covered in greater details here******** but is called your cost per acquisition (CPA). You then see your CPA is $.80.What this really means is that every user you gain will on average earn you $.20 cents over their lifetime. So essentially the goal, once proving an LTV > CPA is to maximize user volume and scale up revenue. There is however, one extremely important concept you must understand. I’ve worked with companies selling products through online stores in which the advertising costs to gain a customer were recuperated 5 minutes later when a customer purchased something. You can measure cost outflow and inflow on a day to day basis. As long as your LTV > CPA you just want to keep repeating the model, but this is rarely the case with a game. Your LTV is calculated by the lifetime duration of a customer which means your inflow of cash to recuperate the CPA will not be instant. If you’re spending 100 dollars a month in advertising and steadily gaining customers, you’re going to experience a 4 month delay before you’re revenue will be commensurate to cover your advertising costs. If we try and visually represent this situation by showing the month on month changes in a chart we see the phenomenon mentioned above. For the first 3 months, there is a loss and it takes until the 8th month to actually have a to date profit. This period of catch up can be crippling if you don’t have the finances to cover your costs. It really should be mentioned that this situation would only occur when a game is more reliant on MTX and subscription than a premium purchase price.